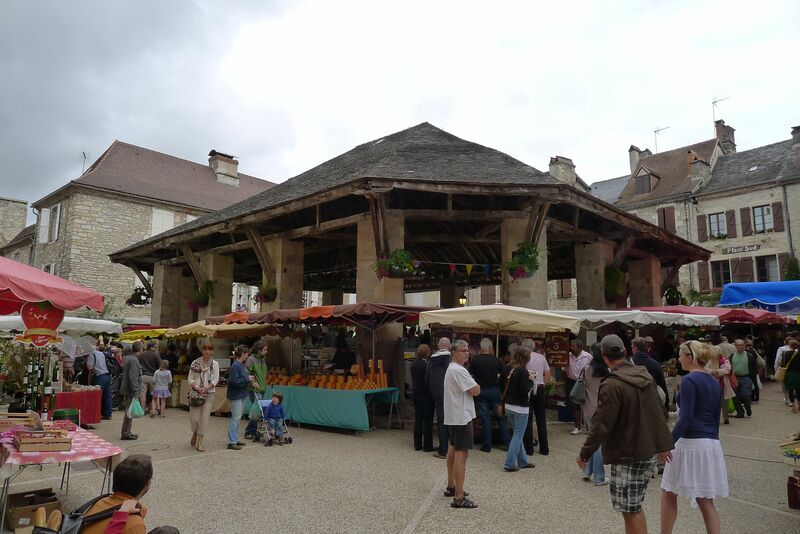 Martel is our closest largest town and is 8km to the south. 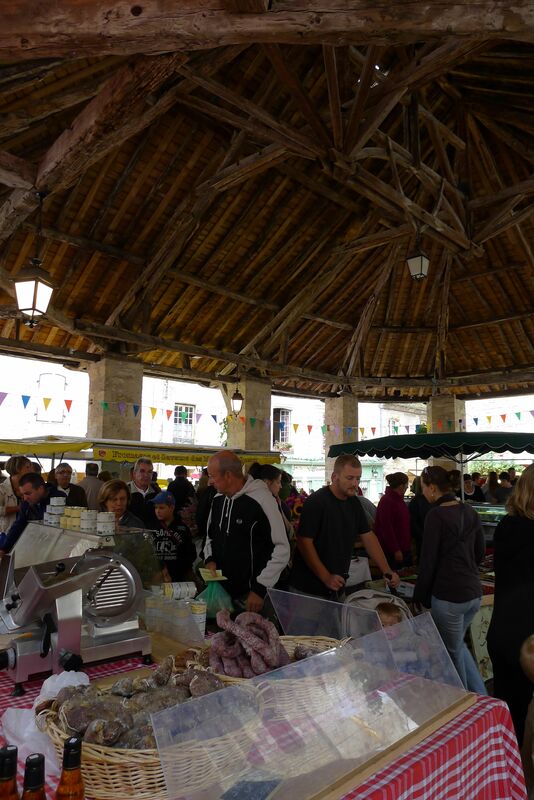 They have a market twice a week in La Halle in the town centre and have a variety of local specialties on offer. 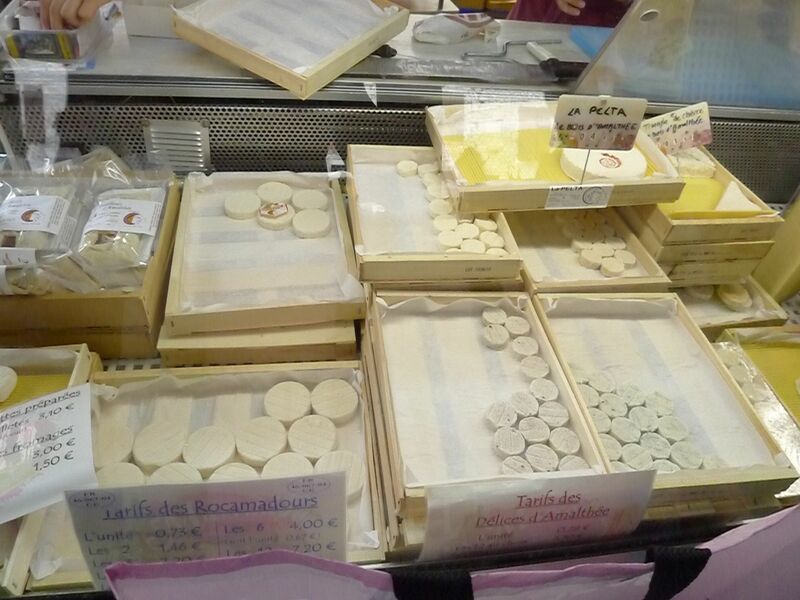 The cheese in the photo below is from Racamadour – they are famous for their goat’s cheese. 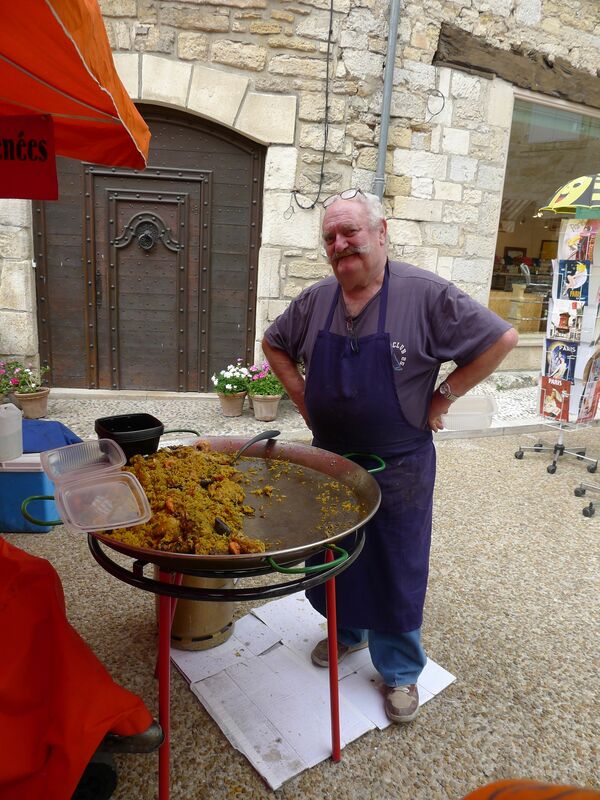 This is our local purveyor of paella, another common addition to the local market scene. I buy some – it’s excellent. 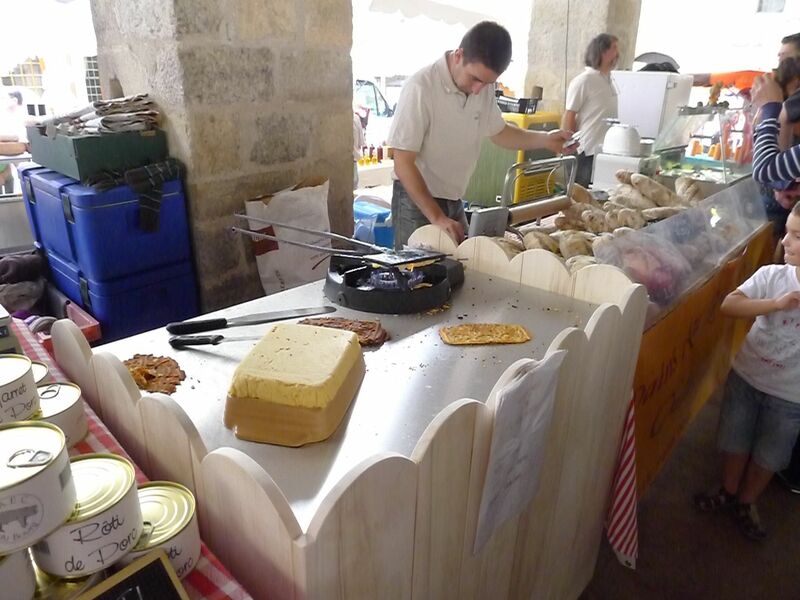 These are gauffres – another local ‘ancienne ricette‘. 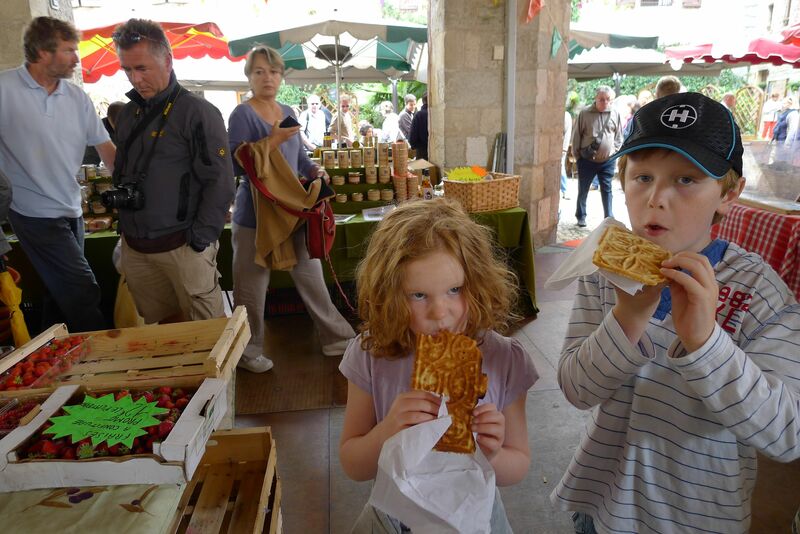 They are like a cross between a cookies and a waffle. Yum Yum Yum.